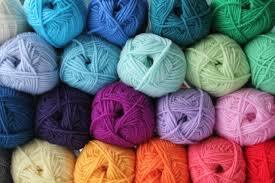 Do you enjoy knitting,crocheting, needlepoint , embroidery, or other handwork? We do! You are invited to join our small group for working together, and getting to know each other. Please contact Carol Takaki (carol.takaki@yahoo.com) (510-527-1926) this month only if you would like to attend, and/or if you have any questions. Thanks. There are nine steps and a handrail from the street to the front door. *Yes, this was originally moved to Tari's, but she has a conflict and Carol has offered her home for this month.